Campeggio Belsito si trova a Montecatini Terme, Pistoia. Il campeggio a terrazze e campeggio con terreno collinare dispone di piazzole delimitate, sia ombreggiate che, senza ombra e piazzole poco ombreggiate. È possibile affittare bungalow. Il campeggio dispone di un campo sportivo. Per gli sportivi, il campeggio prevede un programma di escursioni. Per chi desidera rilassarsi dopo una giornata intensa ci sono idromassaggio. Il campeggio dispone di una piscina scoperta e una vasca per i più piccoli. Ogni anno un ispettore visita il Campeggio Belsito, controllando oltre 200 tra attrezzature e altri punti di interesse del campeggio. L'ispettore è un dipendente ACSI e non lavora per il campeggio. Very nice, family run camping site. Calm and green, quiet. Terraced up the hill with beautiful views of Tuscany. lovely campsite in beautiful surroundings with views over the Tuscan hills. Didn\'t eat in the restaurant so can\'t comment, had an ok pizza takeaway. Cycling challenging but we have E-Bikes so managed. Good bus service down to Montecatini Terme, trains from there to Pisa, Florence and Lucca. 2 super swimming pools. Lady on reception very friendly and helpful. Fantastic place, great views from the upper levels. Stayed 5 nights but could easy be more, lots to see in the local area and within 1 hours drive. Real Tuscany, in the hills between Florence and Lucca, both accessible by train. A little way out of the town, but bus service is very good and inexpensive. Easy walk up to Montecatini Alto, pretty village on top of hill. Can also be reached by funicular from main town of Montecatini Therme, so goid round trip by bus and funicular. We selected the comfort pitch with private toilet and shower facilities, an extra on top of ACSI rate. Would definitely use again if we passed thus way again in the future. Very nice site with lovely views over the Tuscan hills. Some pitches have own washblock. Easy power and water. Restaurant on site. Bus just outside. Nice place to stay. Lovely site toilet blocks clean and very good. 2 swimming pools ideal for children and one quite for us older folks. The Internet cost was way too high 2 euro per hour think they must bring it up by donkey. The views from the site great. Don't forget to get you olive oil from the pressing company just outside the site its lush. Superb little site in a stunning setting. (Actually located higher up closer to Montecatini Alto). Terraced pitches higher up offer a really great view especially of an evening. Nice little restaurant on site and a small shop where bread can be ordered for the following morning. Don't miss the 15 min walk up to unassuming little Montecatini Alto, with its lovely, charming little square filled with small restaurants and bars that are very relaxing. Alto also has the" Funicolare" mountainside railway down to Montecatini Terme. A further walk the other side of 20 min and you have rail links to Pisa, Florence and Lucca that are easy, regular and cheap. Great site, beautiful location. 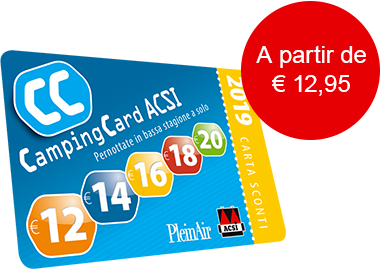 ACSI Eurocampings invia la tua richiesta di informazioni al "Campeggio Belsito". Campeggio tranquillo in bella posizione e con tante piazzole con vista panoramica. 64 piazzole con bagno privato. In posizione ideale per visitare Firenze, Pisa, Lucca e altre città d'arte. Ben segnalato a Montecatini Terme. Non usare il GPS!